TCRN role: Scientia Professor Mark Harris is the Deputy Director of the TCRN. He leads the Continuum of Care flagship, providing leadership in primary health care, prevention and health services research within the TCRN, and translating TCRN priority and flagship research into the broader community. Professional and research interests: Professor Harris is the Executive Director of the Centre for Primary Health Care and Equity at UNSW. His research spans two key areas: the prevention and management of chronic diseases (diabetes, cardiovascular disease) in primary care; and health inequalities, including interventions to improve the health status of disadvantaged groups (the unemployed, refugees, asylum seekers and Aboriginal people). Career achievements: Professor Harris is internationally acclaimed for his public health and primary care research. 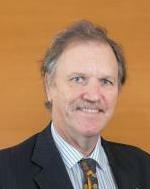 He became a Fellow of the Australian Academy of Health and Medical Science in 2015, was appointed Scientia Professor at UNSW from 2013-2018, was an NHMRC Senior Professorial Research Fellow from 2011-2015 and became an Honorary Life Fellow of the RACGP in 2009. He was won numerous awards for his work, including the 2013 Muru Marri Indigenous Health Impact Prize, the 2013 Peter Baume Public Health Impact Award, a 2010 Humanitarian Award (Health category) and the 2010 Charles Bridges-Webb Medal from the Australian Association for Academic Primary Care.